PinPod, the home delivery box for internet shoppers! ► Ordered online but don't want to stay in all day waiting for the delivery? ► No problem - PinPod ® it's there all day, while you're away! 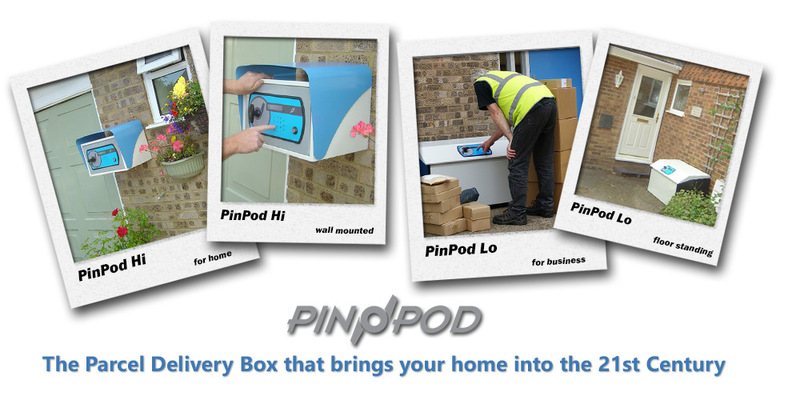 ► Smaller, wall or post-mounted parcel safe - "PinPod Hi"
► Larger floor-standing version for larger and multiple deliveries - "PinPod Lo"
If you and your family are one of the growing numbers of people who shop over the internet or from mail order catalogues, you need a PinPod delivery safe for your home. Remember – while PinPod is great for parcel deliveries, it’s also perfect for returns and collections. 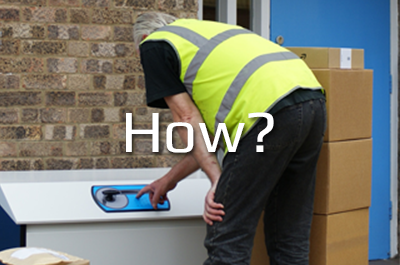 The PinPod electronic parcel delivery bin saves you having to stay in all day waiting for the courier. It’s also the answer if you’re busy or you can’t always get to the door in time. The proliferation of the Internet has changed the way we shop for everything from clothing to consumer electronics. Britons now spend more than £10 billion every month without ever leaving the comfort of their own homes. Assuming you are among the legions of online shoppers, you have discovered the ease and convenience of making your purchases over the Internet. Nevertheless, that begs the question: how do you accept deliveries? Accepting deliveries is not a problem if you are home 24 hours a day, seven days a week. However, how often does that happen? You pop out for 5 minutes to pick up the kids, only to return home to another failed delivery note - does that happen to you? No, those of us who live life on the go have come to accept that deliveries will arrive at various times when there is no one around. But you shouldn't have to organise your whole day around deliveries. That's why you need the PinPod secure parcel delivery box system. PinPod really is the perfect solution for accepting deliveries when you are not home. It is a secure parcel delivery and collection system that acts as both a drop box for deliveries and pickup box for shipping. With PinPod you can rest assured that all of your packages will remain safe – even when you are not home to keep an eye on them. 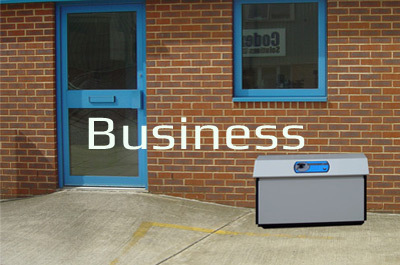 We offer both wall-mounted and floor standing secure parcel drop boxes made of solid steel. Our waterproof electronic delivery box includes an advanced locking system with keypad, as well as a manual override lock. PinPod parcel delivery safes are tough enough to withstand both the weather and all but the most determined of thieves. 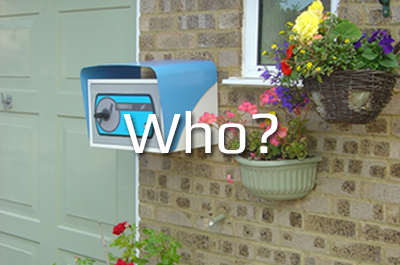 Your packages will be safe and secure inside our patented intelligent parcel drop box. We have made it possible for you to create repeat-use PIN codes for people you know and trust - multiple family members, employees, and those vendors you regularly do business with. 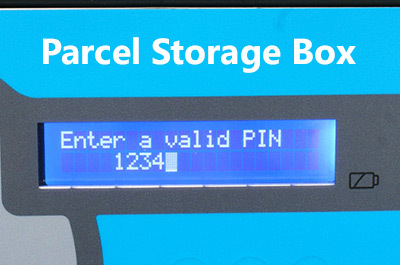 For added security, however, your PinPod parcel delivery box will also issue single use PINs that prevent repeated access to your box by a shipper. You can use a different one-time-only PIN for each individual delivery - the PIN will then expire immediately after the delivery. With PinPod you set the level of security that you require - you control who has access for every single delivery. 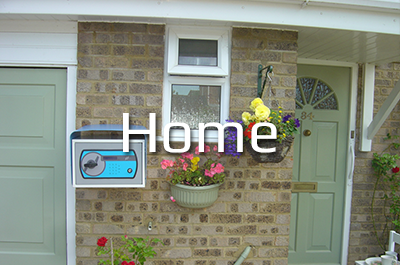 What's more, this smart electronic parcel delivery box will also "sign" for your parcels on your behalf. 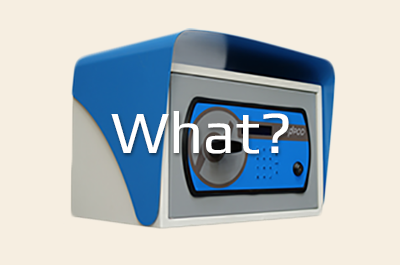 After your packages have been received into the parcel box and only when the door or lid has been closed and locked PinPod will display an alpha-numeric POD (Proof Of Delivery) code. Whether with old fashioned clipboard and paper or with one of those smart hand-held terminals the courier simply copies this down. PinPod's integrated intelligent parcel management system issues a completely different POD code for each delivery (or pickup). The chances of any two codes being identical are hundreds of billions to one against. We believe the POD code is even more secure than a human signature. Encrypted within the code are the date, the time and part of the PinPod unit's unique Electronic Serial Number which is linked to the registered name and address of the recipient. In the event of a dispute the carrier need only contact PinPod Ltd for verification. Take a look around our site to learn more about what PinPod has to offer. 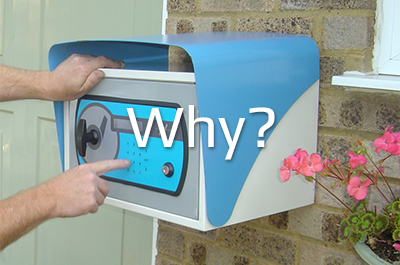 If you do a lot of online shopping, you need the PinPod outdoor parcel delivery system for your home or business. PinPod is the easiest, most efficient, and incredibly secure way to protect your packages when there is no one around to receive them. 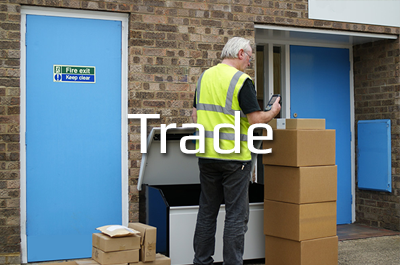 PinPod really is the perfect secure home parcel delivery box and the ideal secure parcel delivery box for business deliveries. 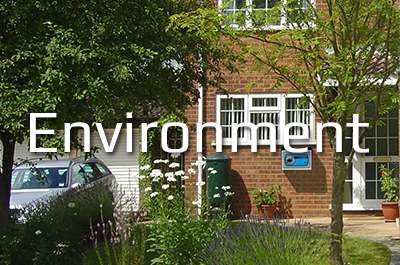 ► PINPOD® ... signed . safe . delivered .